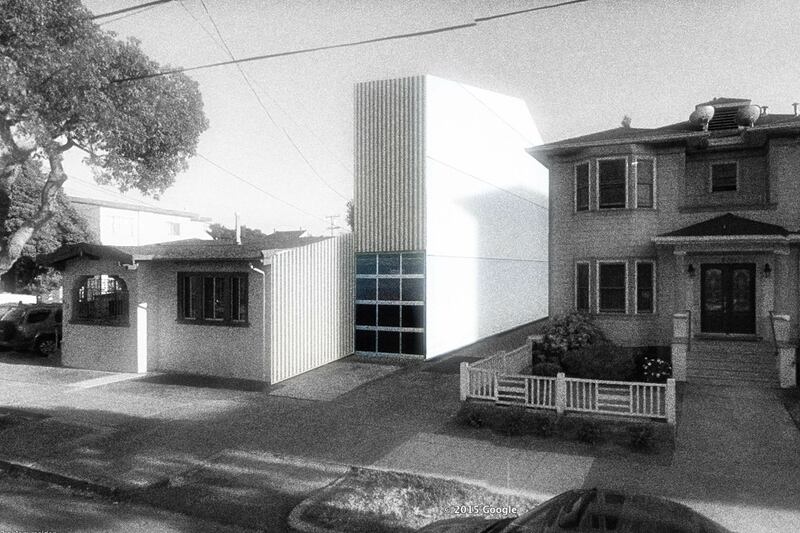 Our design for an exceptionally skinny house in Alameda California takes the radical plot size of 145 feet by 8.5 feet to an even further extreme with a solution that has only one continuous space over three levels. The concept allows for a certain spatial generosity as well as relative privacy which is achieved only through vertical means. The size of the house is maximized to still obtain a feasible and livable design despite the constraint in width. Our solution makes use of lightweight and cheap materials that are highly efficient in order to spare every inch possible. The slimness poses an advantage as the structure consists of minimized prefabricated steel frames that can easily be brought to the site in sections for rapid assembly and reduction of construction costs. The house can serve a small family of three or a couple. 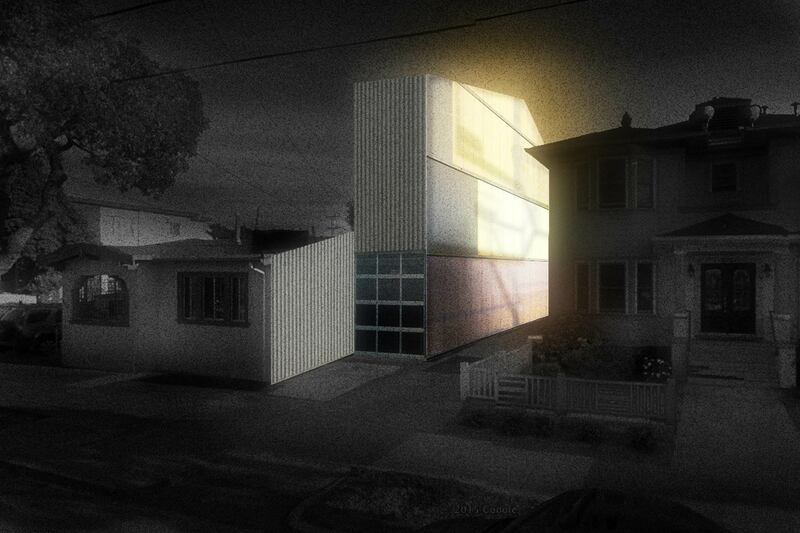 Translucent materials allow for a maximum amount of daylight in every corner of the house.